German cooling expert be quiet! periodically updates its range of PSUs with models that offer incremental improvement over the last generation. This usually happens at the turn of the year, to coincide with the CES trade show, and 2018 is no different. The second-rung Straight Power series is the beneficiary this time, updated to series 11, and the family consists of six supplies that start at 450W and top out at 1,000W. 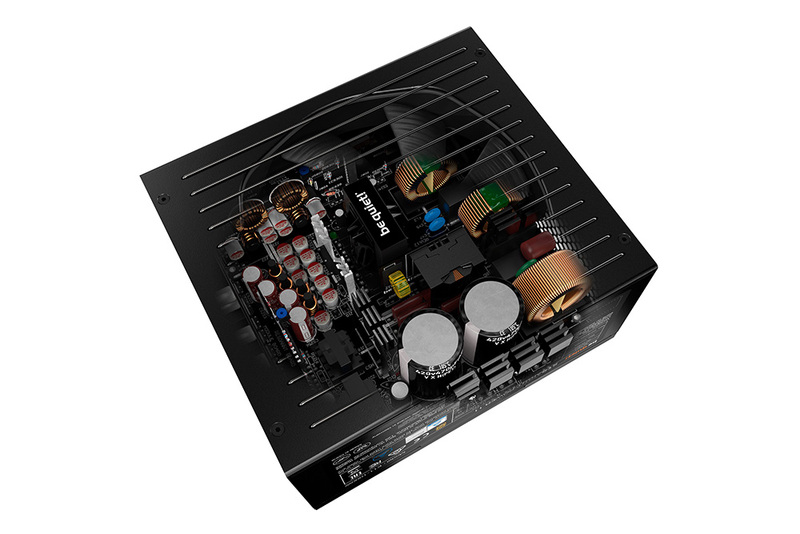 The Straight Power 11 series has 80 PLUS Gold certification, is equipped with the firm's SilentWings 3 135mm fan, runs with all-Japanese capacitors rated to 105°C, has the usual DC-to-DC voltage topology, and, according to be quiet!, an 'innovative, wire-free design on the DC side inside the PSU body for better cooling airflow, less signal disturbance and enhanced longevity of components.' We take a look at the 550W model for today's review. The unassuming exterior is a hallmark of be quiet! supplies. As usual, build quality is really solid. There's plenty of ventilation opportunity around the chassis that measures the standard 150mm wide, 86mm high and 160mm deep. Going up in capacity, to 750W and above, pushes the depth out by only another 10mm, so it will likely fit into all mid-tower chassis. We continue to like the way in which be quiet! implements the fan, with a thin grille on top of the 135mm spinner. The company says that a funnel-shaped opening enables higher intake airflow opportunity than traditional models, and though we have no means by which to verify such a claim, previous supplies have done well in the temperature department. 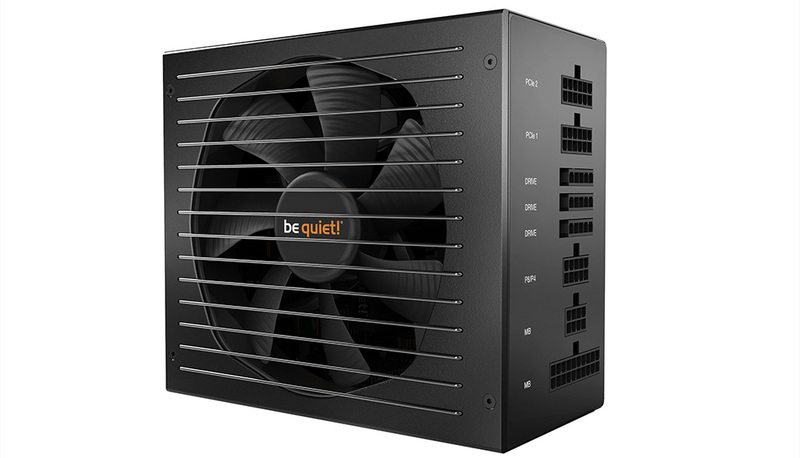 Unlike most other premium PSUs, the firm doesn't implement a hybrid-fan mode where the SilentWings 3 remains switched off at low loads. Rather, it spins very slowly until about 50 per cent load - just 9.8dBa going by the specs - and is supposed to be virtually inaudible even when approaching full steam. We'll put this to the test later. Where the supply does adhere to premium convention is with its fully-modular wiring. The exact cabling is dependant upon model, with the 450W and 550W models having eight cables apiece, rising to 11 for the 750W+ brigade. What they all have in common is the 20+4-pin ATX cable and 4+4-pin CPU that measure 600mm and 700mm, respectively, and all are nicely sleeved. We think be quiet! 's a bit stingy in only providing two 6+2-pin PCIe connectors (60cm) on this model, because 550W is enough to power two mid-range cards. One needs to step it up to the 650W variant for four PCIe. Nine SATA and three Molex, meanwhile, is better, along with a floppy extender, so this supply is primed for those running a single GPU alongside, potentially, lots of storage. Inside, the Straight Power 11, backed by a five-year warranty, uses what we believe to be an updated FSP platform in order to achieve the 80 PLUS Gold certification. 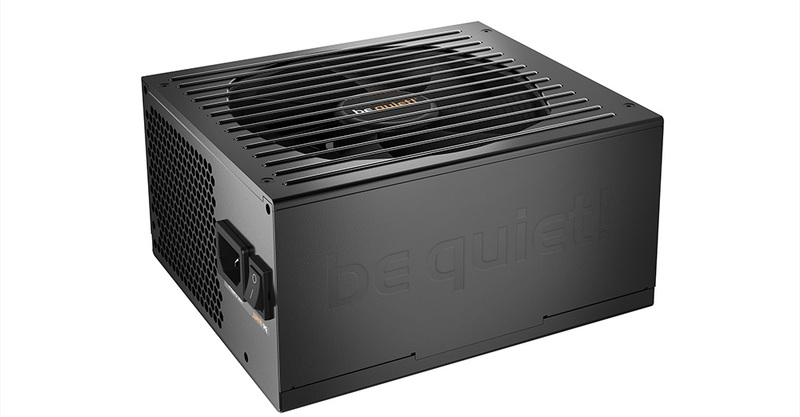 The clean interior is helped by having that wire-free design, and given the large fan intake, this 550W supply is rated to perform at its peak, sustained wattage at an ambient 40°C temperature. It's unusual to see the 12V split into quad rails now. Appreciating that a maximum of 18A can be pushed down any one line (216W) we'd prefer a single-rail architecture. That said, we didn't notice any over-current tripping during testing. be quiet! has considered just what it offers for the range-leading Dark Power Pro 11 and muted the specifications in order to achieve second-rung status. Nothing wrong with that, of course, but a cause for concern is the current UK pricing, where this model costs around £100. Other reputable firms' largely equivalent models are available for considerably less, meaning that the Straight Power 11 needs to knock the benchmarks out of the park for it to be worthy of the premium. To that end, let's find out how it does.